Tam Coc is a beautiful destination in the north of Vietnam belonging to Ninh Binh province. 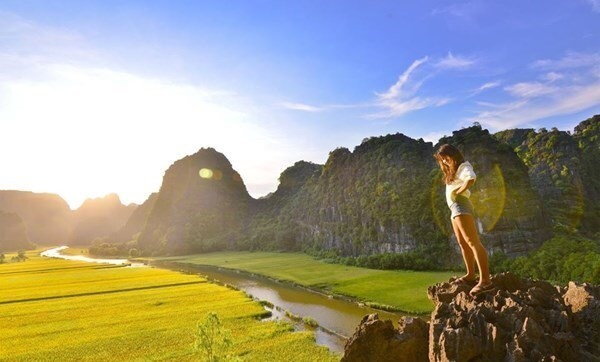 Coming to Tam Coc you will be overwhelmed by the stunning sceneries of majestic mountains, vast river and especially blooming with ripe yellow rice fields in the period from May to June. 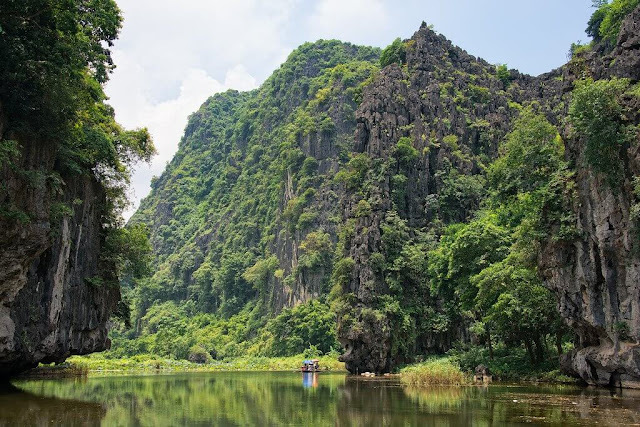 Tam Coc means “Three Caves” including Ca cave, Hai cave and Ba cave, which were created by Ngo Dong river crossing through the rock mountains. 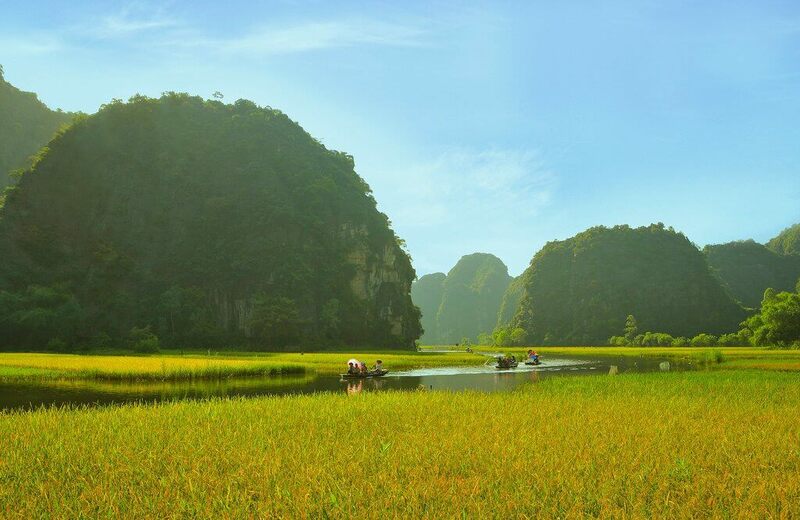 The fantastic landscapes of limestone mountains, caves and water have made Tam Co to know popularly as Halong bay on land. Particularly Tam Coc becomes more charming in the rice season when the immense fields start to change from green color to yellow color. 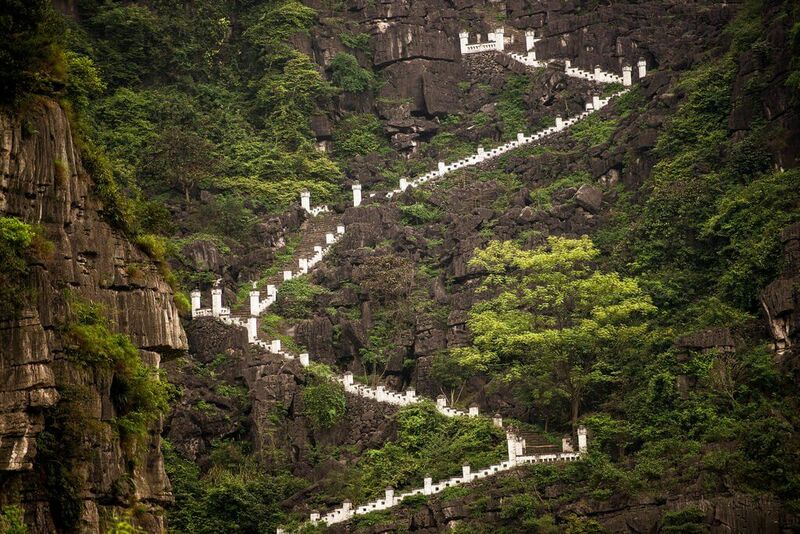 Ca cave is 127km long running throughout the large mountain with the 20m wide door. Far away 1km from Ca cave, you will see Hai cave with 60km long and Ba cave nearby with 50km long owning the dome – shaped ceiling. 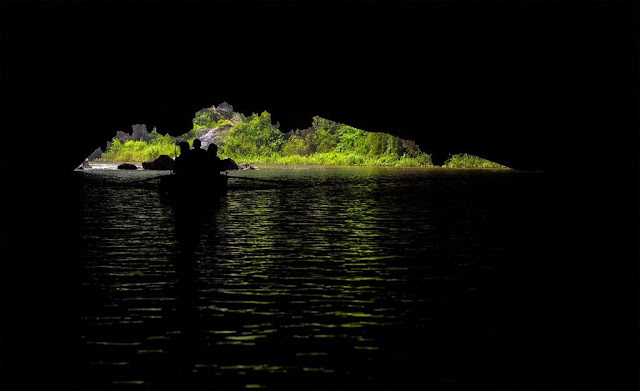 When coming into these caves, you will be impressed by the numerous stalactites and stalagmites in strange forms and different sizes. 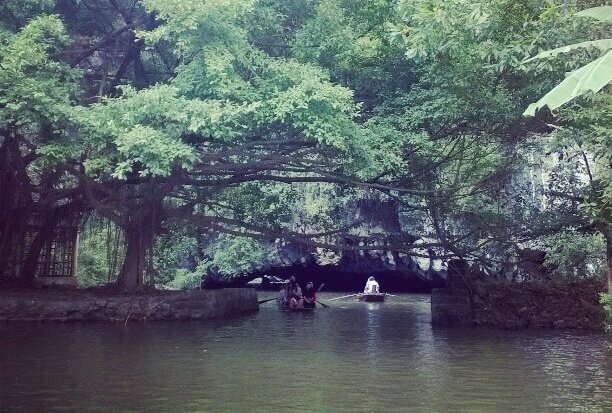 Traveling by boat on the romantic Dong Ngo rive from central port to get to Tam Coc maybe the best way for sightseeing. 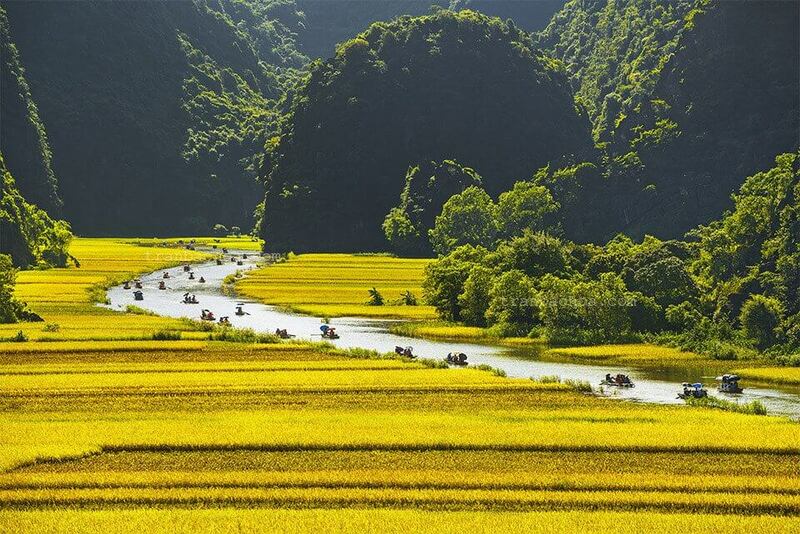 On the way you will go through cliffs of the rock mountains, caves and the blooming yellow rice fields along the river. What special about Tam Coc is that there is one rice crop a year only here in the period from May to June. 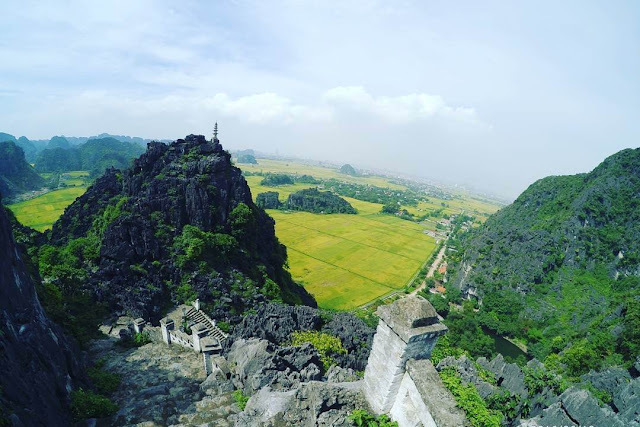 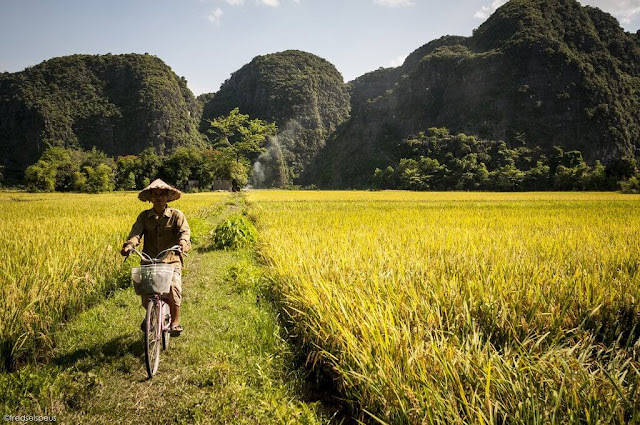 Besides, don’t forget to stop off at Mua cave, which gives you the panoramic view of Tam Coc or take a cycling around the rice fields is also the best experience in your journey.